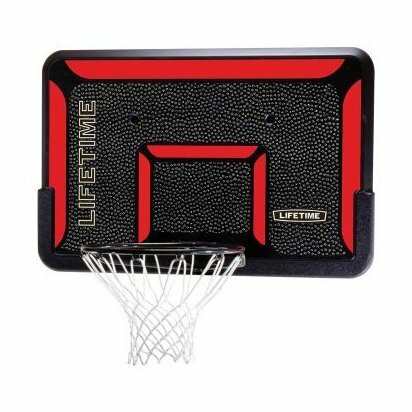 44-inch backboard/rim combo for home basketball setups. High-density polyethylene construction is virtually indestructible. Black classic rim with welded steel net hooks and nylon net. Graphics are screen printed with fade-resistant UV-protected ink. All parts of the system carry a 5-year warranty.